Today the cherry blossoms here in D.C. begin their “peak bloom.” Peak bloom is defined by the National Park Service as the day when 70 percent of the cherry blossoms surrounding the Tidal Basin are open. But the best time to see the cherry blossoms, depending on the weather, is four to seven days after peak bloom. So I will be posting some photos of this year’s cherry blossoms later in the week. 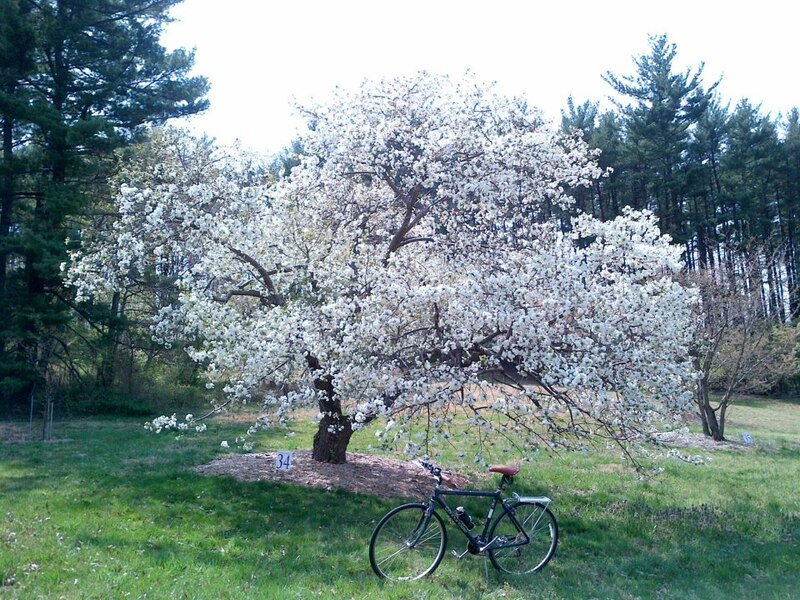 During this lunchtime bike ride, I went out to see one of the cherry blossoms’ seasonal precursors, magnolia blossoms. 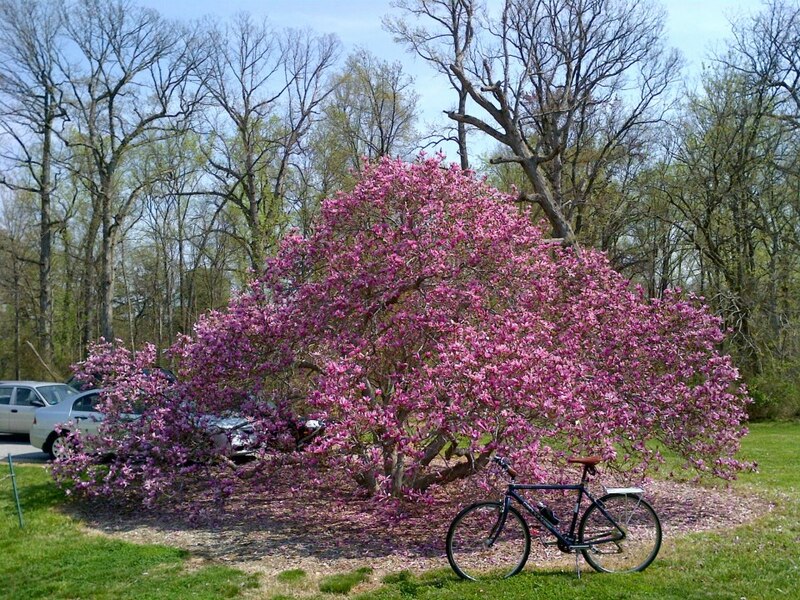 There are many places throughout D.C. where there is an abundance of magnolia trees, such as the U.S. National Arboretum, Rawlins Park, and Lafayette Square Park, to name just a few. 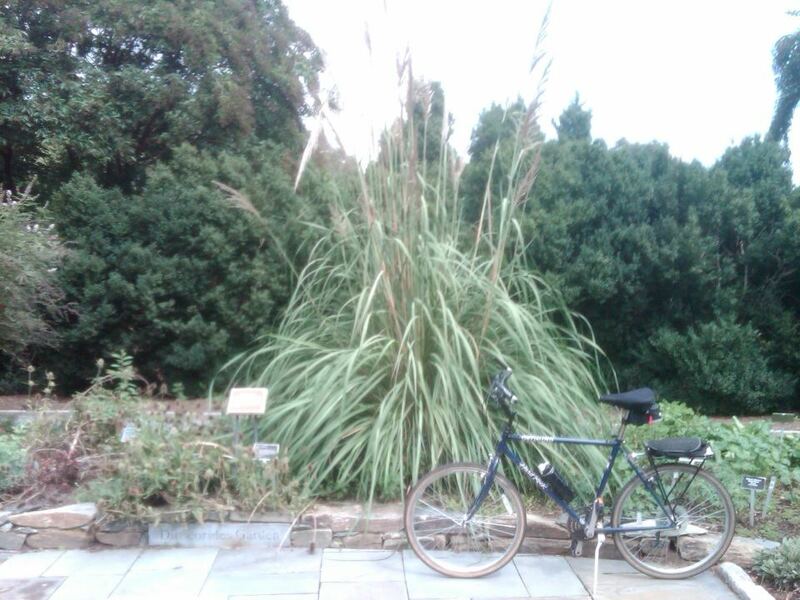 But on this bike ride I stopped by the Enid A. Haupt Garden, located at 1050 Independence Avenue (MAP) in the Southwest portion of D.C.’s Downtown neighborhood. 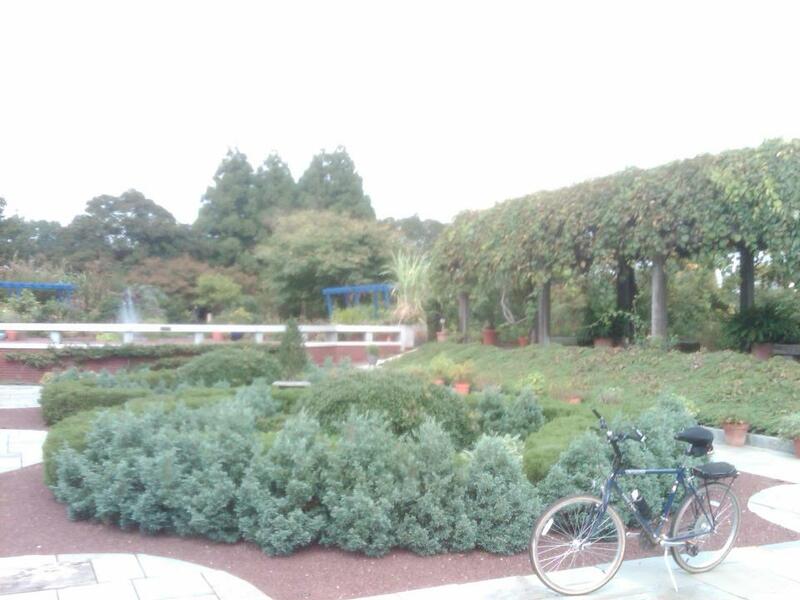 The Haupt Garden is a public garden in the Smithsonian complex. It is situated on just over four acres between the back of the Castle and Independence Avenue, and features an embroidered parterre in a geometric design of plants and flowers rotated seasonally, an Asian-influenced garden adjacent to the Arthur M. Sackler Gallery, and a Moorish-influenced garden adjacent to the National Museum of African Art, and wide brick walks, and 19th-century cast-iron garden furnishings from the Smithsonian Gardens’ Garden Furniture Collection line the perimeter. But it was the saucer and tulip magnolias that I went to the park to enjoy today. 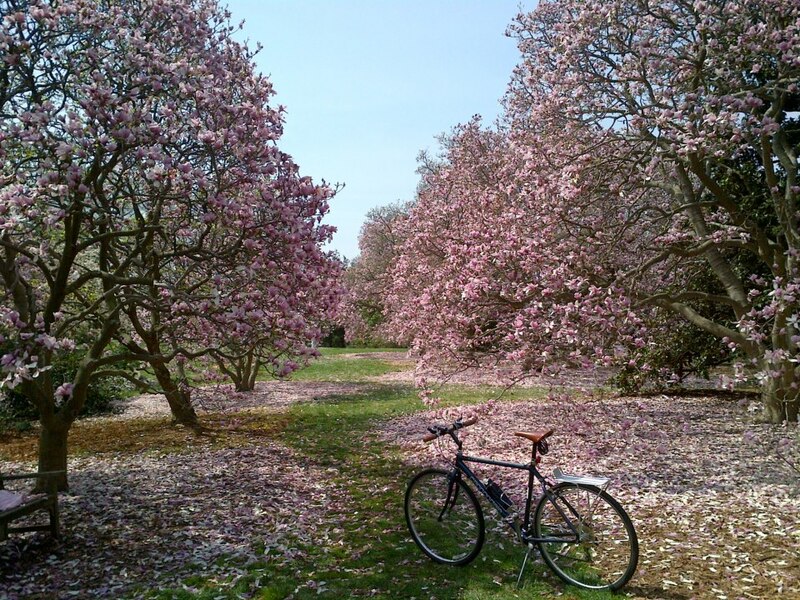 The magnificent trees do not have the same history and fame as do the cherry trees that line the nearby Tidal Basin, but these magnolias are equal in beauty with their more famous counterparts. And the aroma of the magnolia blossoms filled the air. It was a great way to spend the first day of the cherry blossoms’ peak bloom. Update (4/4/2019): What a difference a few days make. 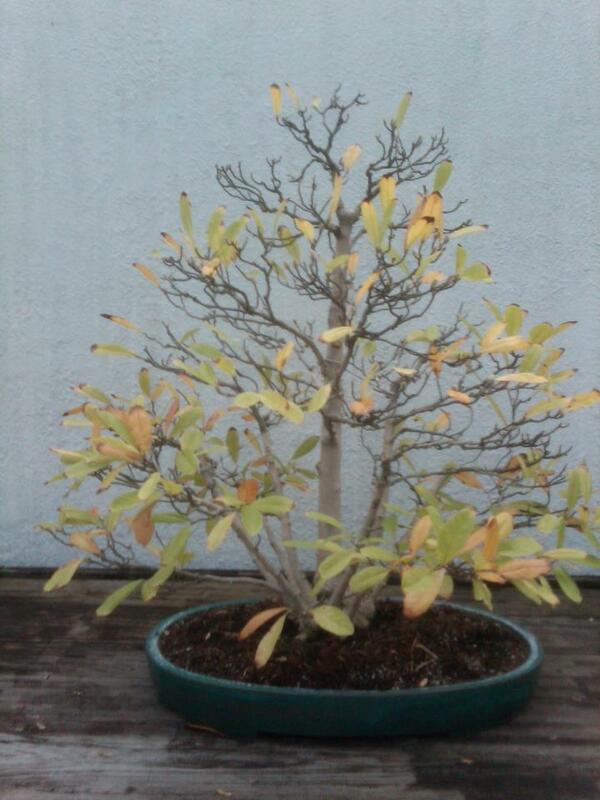 The photo (below) is of the same magnolia trees three days after the first photo (above). So if you’re going to come see them next year, make sure your timing is right. The brevity of the magnolia blossoms is similar to that of the cherry blossoms. 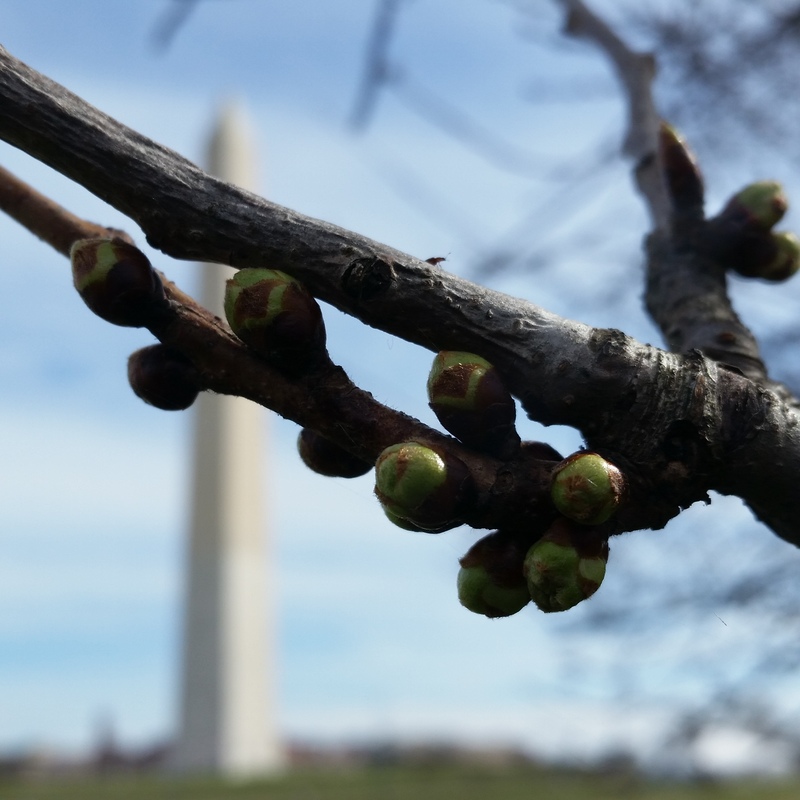 Temperatures warm enough to shed winter jackets, the Washington Nationals playing in Space Coast Stadium in Viera, Florida, and setting the clocks ahead like we did this past weekend are all signs that springtime in our nation’s capital is on the horizon. Another sure sign of spring’s imminent arrival is when the dark spindly trees lining The Tidal Basin begin sprouting their green buds, hinting of the florets that will soon become the world-famous pale pink or white cherry blossoms that annually attract so many visitors to the city during the first weeks of spring. I look forward to the coming days when I will be fortunate enough to be able to watch the blooming process unfold. It is expected that the blooms will peak this year between this Friday (March 18th) and next Wednesday (March 23rd), which because of recent unseasonably warm weather is earlier than initially thought. So although the National Cherry Blossom Festival doesn’t begin until a week from today (March 20th) and runs through April 18th, this coming weekend will be the ideal time to experience this year’s phenomenon. 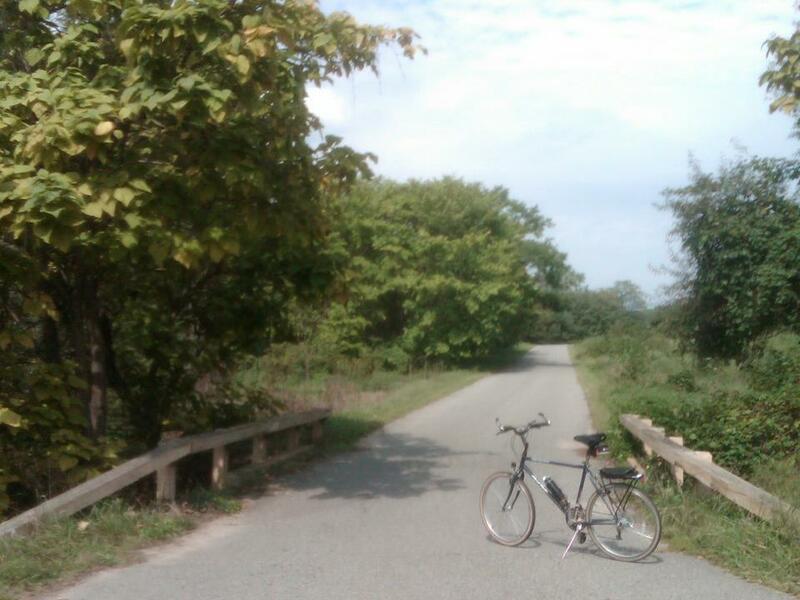 So whether you for opt for an outing to the Tidal Basin and National Mall area, the tree-lined streets of East Potomac Park and Hains Point, or the diversity and variety of species of cherry trees at the National Arboretum, don’t put it off for very long. Because the visual splendor of these delicate cherry blooms is given to us, unfortunately, for only a brief time, leading many to say that they are symbolic and serve to remind us of the beauty and brevity of life itself. In addition to the U.S. Capitol Building itself, there are a number of other buildings, memorials and other attractions on the building’s grounds. 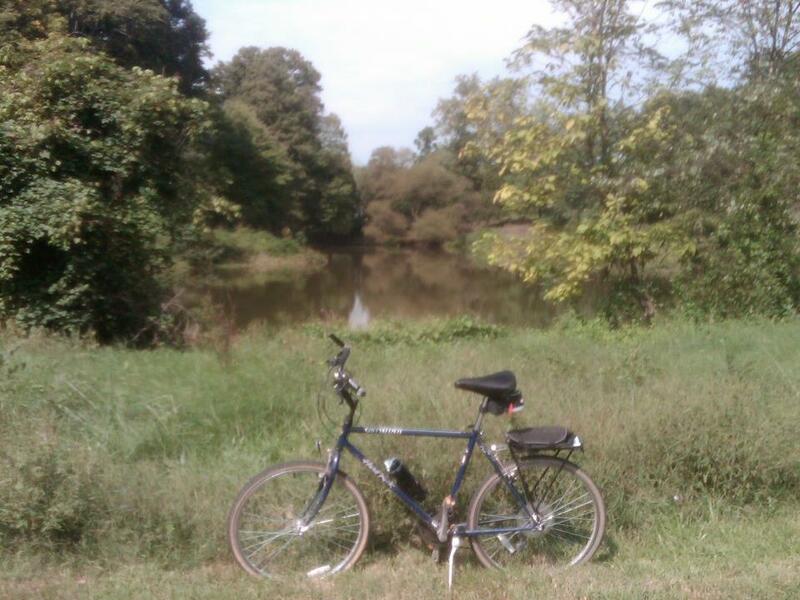 But during this lunchtime bike ride I went to see some that are no longer there. They are no longer on the grounds of the U.S. Capitol Building because they were moved just over a dozen blocks down Pennsylvania Avenue, and are now located in President’s Park on The Ellipse, just south of The White House. 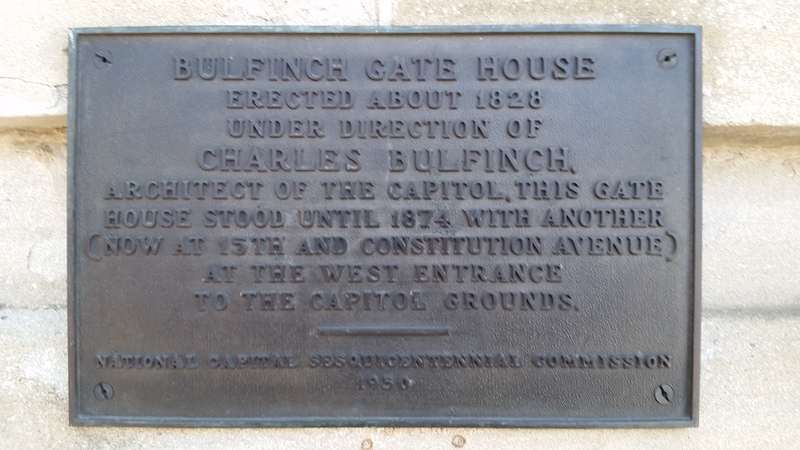 The U.S. Capitol Gatehouses and Gateposts were designed circa 1828 as part of the original Capitol design by then-Architect of the Capitol Charles Bulfinch. Thus they are also often referred to as the Bullfinch Gatehouses. 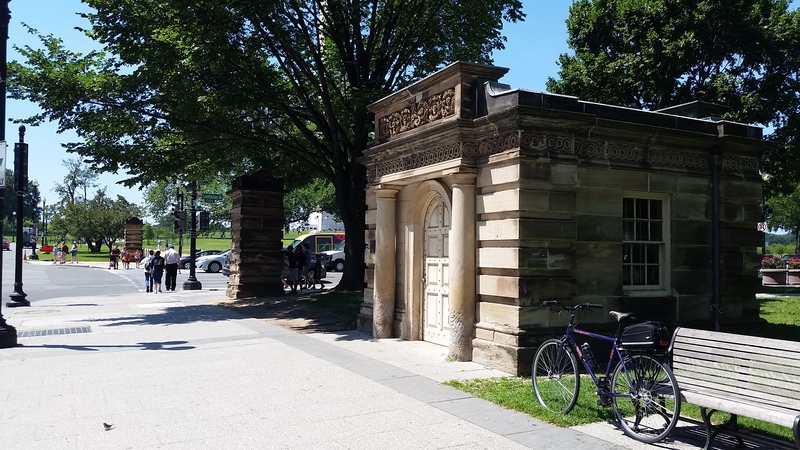 The first gatehouse, known as the East Gatehouse, and three gateposts, now stand at the corner of 15th Street and Constitution Avenue (MAP) in the Downtown neighborhood of northwest D.C. The other, the West Gatehouse, is two blocks further up the street, at 17th Street and Constitution. Similar in detail to the four Bulfinch Gatehouses, numerous gateposts were designed by Bullfinch and incorporated in the former fence around the Capitol grounds. As part of major landscaping renovations of the Capitol grounds in 1887 by Frederick Law Olmsted, all of the gateposts were removed. Seven survive today. Three are located near the East Gatehouse. 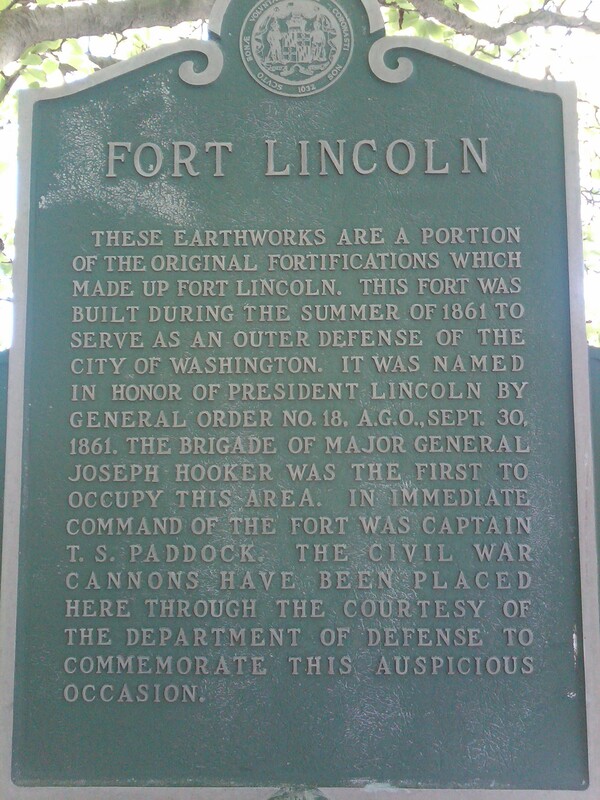 The four other remaining gateposts were relocated to The United States National Arboretum, much like the National Capitol Columns, which also used to be located at the U.S. Capitol Building but now reside at the Arboretum in northeast D.C. The gateposts there now flank the main entrance at New York Avenue and Springhouse Road. In 1880 the gatehouses and gateposts were relocated to their present locations. And in 1938 – 1939, the relocated gatehouses were restored under the direction of National Park Service architect Thomas T. Waterman. At that time they were given new roofs, doors and windows. 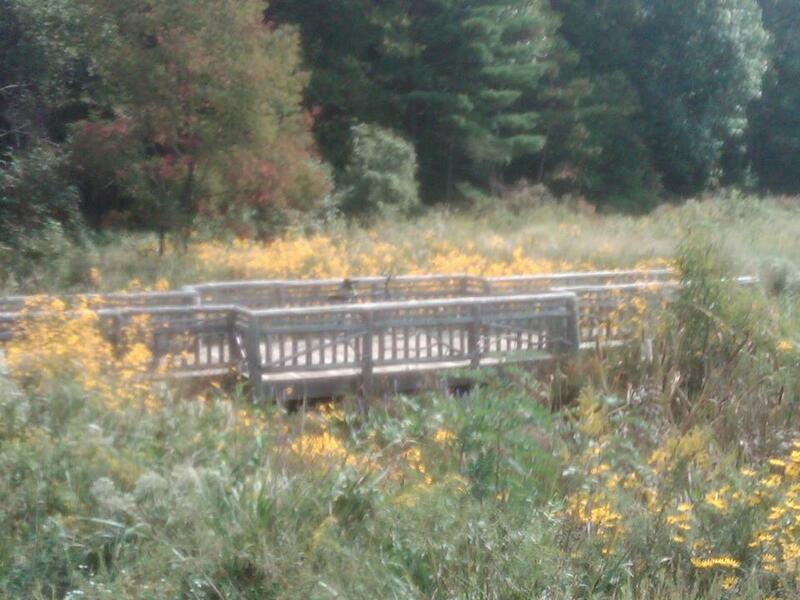 The gatehouses are almost identical. One major difference, however, is that the East Gatehouse bears two high water marks carved into the stone to commemorate flooding in 1877 and 1881. 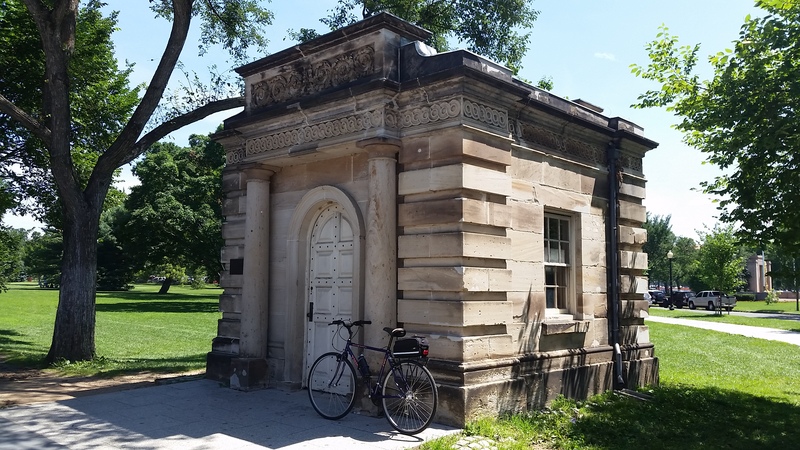 The gatehouses are now listed on the National Register of Historic Places in their new locations. 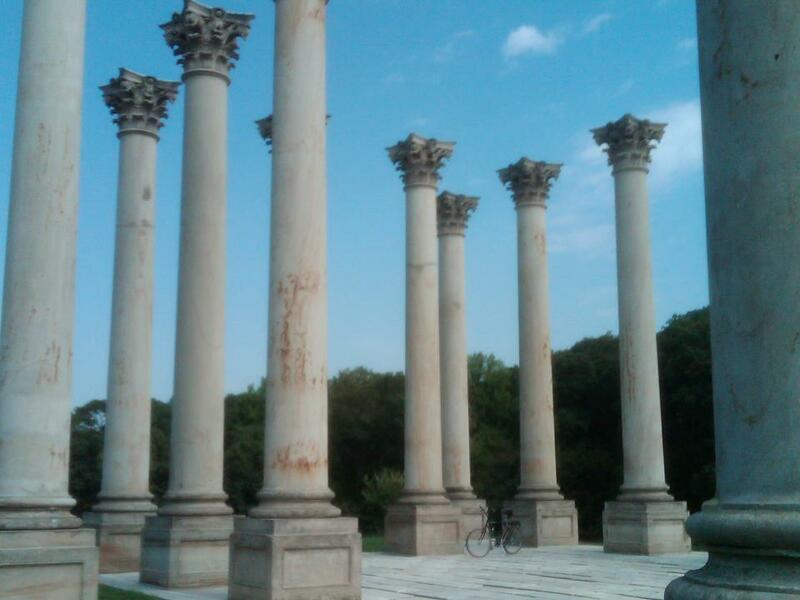 One of D.C.’s most unusual landmarks is the National Capitol Columns. What has been described as having the appearance of the ruins of a Greek temple rising up inexplicably in the middle of a field, the 22 Corinthian columns draw visitors year-round to their current home in the Ellipse Meadow at the U.S. National Arboretum, located at 3501 New York Avenue (MAP) in northeast D.C. The columns were originally part of the U.S. Capitol Building from 1828 until they were removed in 1958, and eventually dedicated at their new home in 1990. The columns with typical Hellenistic Corinthian motifs were among the 24 that were part of the Capitol Building’s east central portico that was designed by an architect from Boston named Charles Bulfinch, who while serving as D.C.’s Commissioner of Public Building oversaw construction of the portico using a design handed down by the original architects of the Capitol, William Thornton and Benjamin Henry Latrobe. After being completed in 1828, the columns provided the backdrop for presidential inaugurations from Andrew Jackson in 1839 through Dwight D. Eisenhower in 1957, as well as numerous speeches, protests, rallies, and other gatherings during those years. The columns, which had originally been constructed long before the familiar Capitol dome was completed, were subsequently removed in 1958 when the base of the Capitol Building was renovated and expanded in order to support and provide aesthetic symmetry for the newly expanded dome. The columns, which were made out of sandstone, were considered too fragile to support the dome and were replaced with marble replicas. 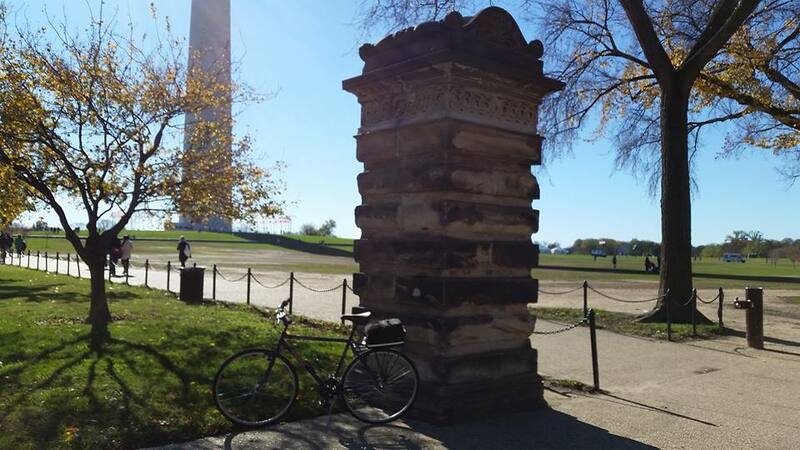 Soon after the original columns were put into storage on the banks of the Anacostia River, a woman named Ethel Garrett struck upon the idea of preserving them so that the public could enjoy their power, beauty and historic associations. 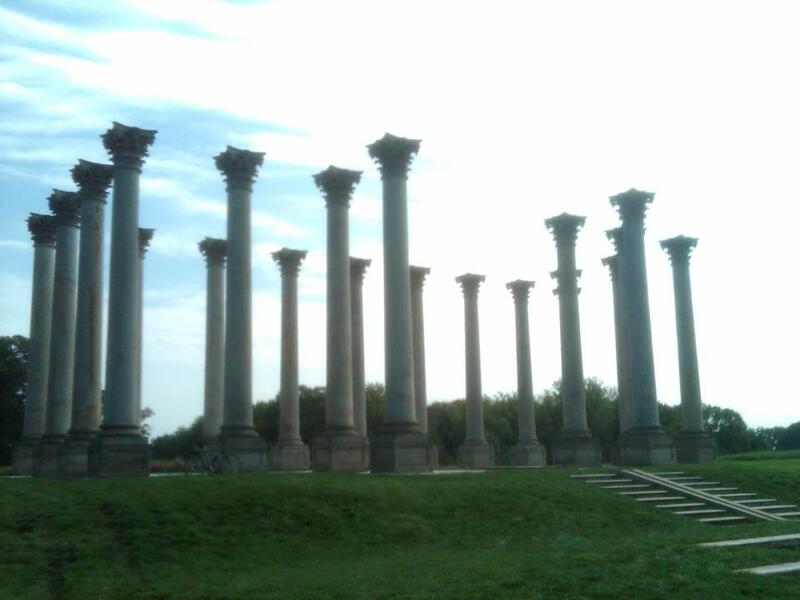 As a benefactor of the National Arboretum, Garrett wanted the columns to be relocated to the Arboretum’s grounds. So she consulted with her close friend, Russell Page, a noted English landscape architect, to find a suitable location. Page determined that the east side of the Ellipse Meadow would be an ideal site, as the columns would be in scale with the more than 20 acres of open space available at that location, and would be visible in the distance to greet visitors as they entered the grounds. Just before his death, Page sketched a design incorporating the columns in a nearly square formation set on a foundation of stones from the steps that were on the east side of the Capitol. The design also incorporated a reflecting pool fed by a small stream of water running down a channel in the steps, which would not only reflect the columns, but provide the added elements of sound and movement as well. It should be noted that only 22 of the original 24 columns stand in formation at the Ellipse Meadow. So if you want to be able to say that you have seen all 24, you will have to go to the Arboretum’s Azalea Collection on the summit of Mount Hamilton, where the remaining two lie on the ground. Both are cracked in half and neither still has its base or capital. Across the Ellipse Meadow from the formation of columns, however, is a capital, or top portion, of one of the columns. It is presumably from one of the two “missing” columns. Located at ground level, it allows visitors an up-close view of the craftsmanship of the stone carver and the incredible detail incorporated into the columns. 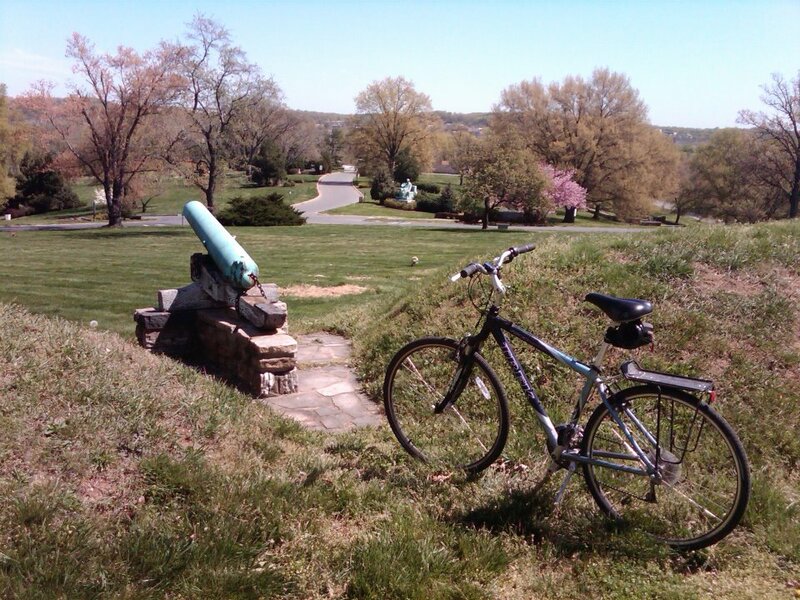 On this bike ride I rode to the United States National Arboretum, which is located just two miles from the U.S. Capitol Building in northeast D.C., with entrances at 3501 New York Avenue (MAP), and at the eastern end of R Street. 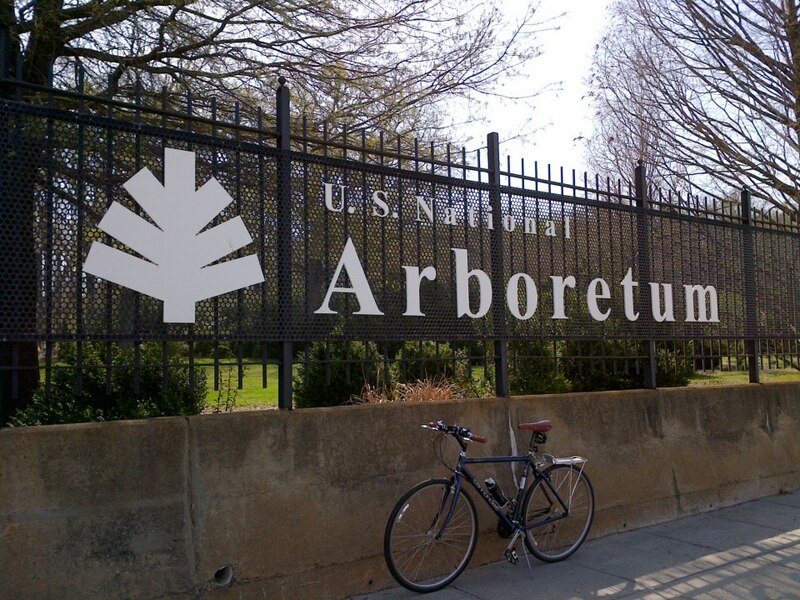 The arboretum was established in 1927 by an act of Congress after a campaign by the then chief botanist at the United States Department of Agriculture (USDA), Frederick Vernon Coville. 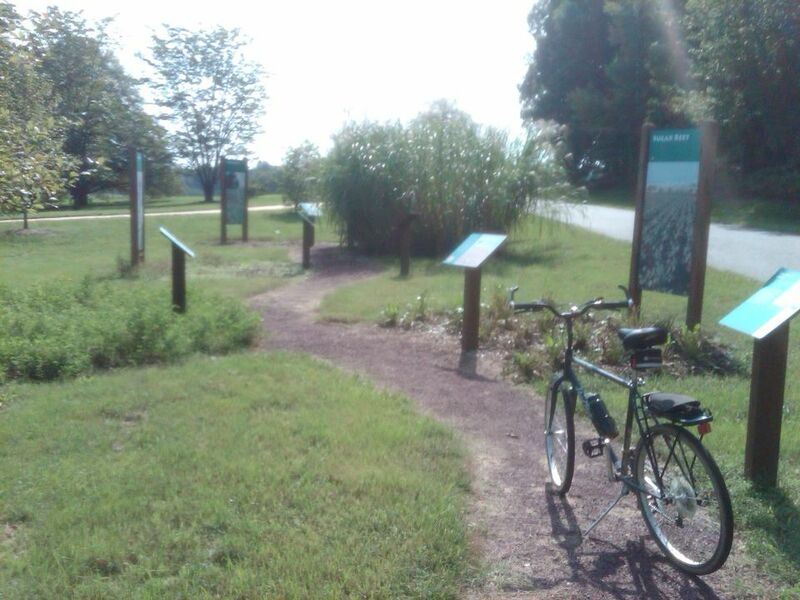 The Arboretum is a public garden, research facility, and urban “green space” operated by the USDA’s Agricultural Research Service as a division of the Henry A. Wallace Beltsville Agricultural Research Center. The Friends of the National Arboretum, an independent, non-profit organization, also works to enhance and support the National Arboretum. 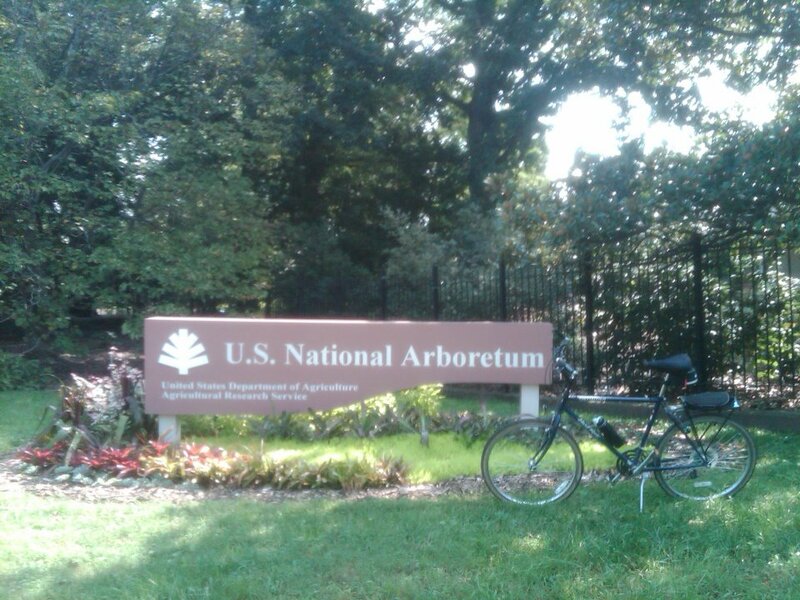 As the only federally supported arboretum, and one of the largest arboretums in the country, the National Arboretum plays a unique role. 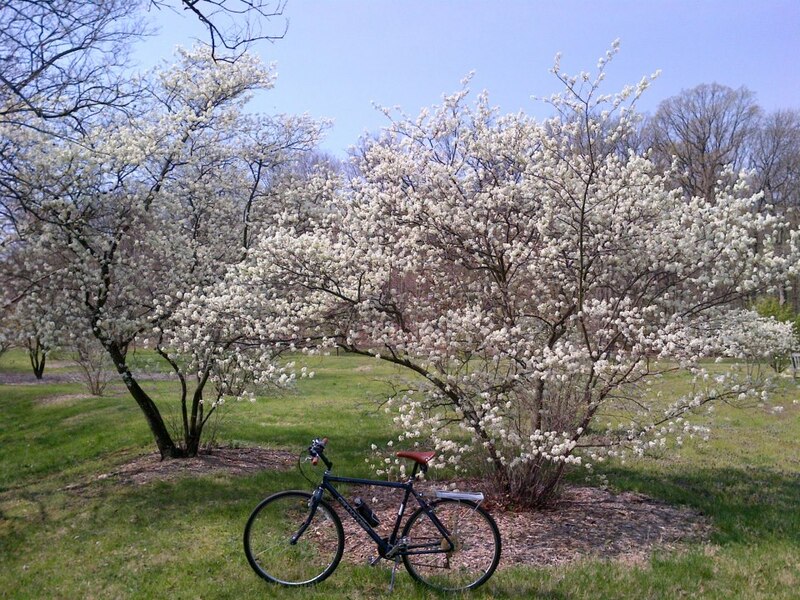 Functioning as a major center of botanical research and education, the arboretum conducts wide-ranging basic and developmental research on trees, shrubs, turf, and floral plants. It is also a source for independent researchers, with a library containing approximately 10,000 volumes and 90 publications concentrating in botanical literature. 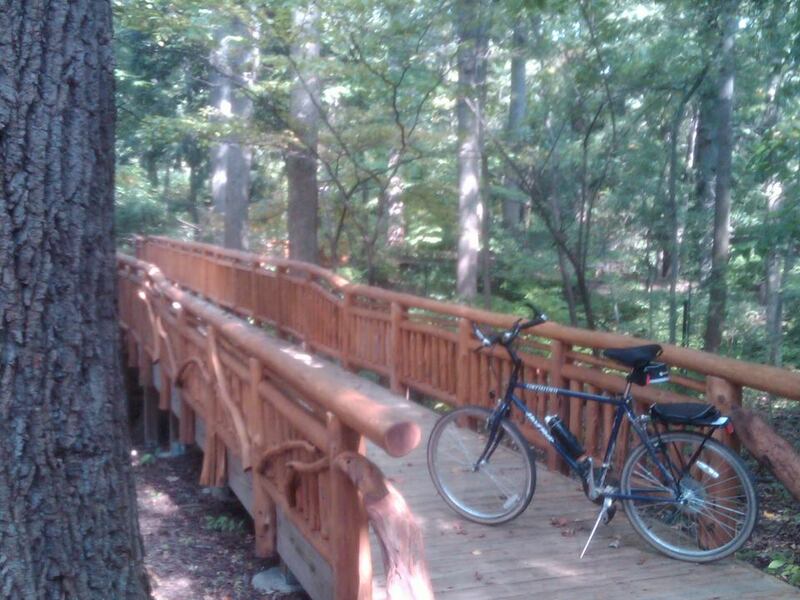 Comprised of 446 acres, and bordered on the east by the banks of the Anacostia River, the arboretum breeds, grows and displays acres of trees, shrubs and plants. 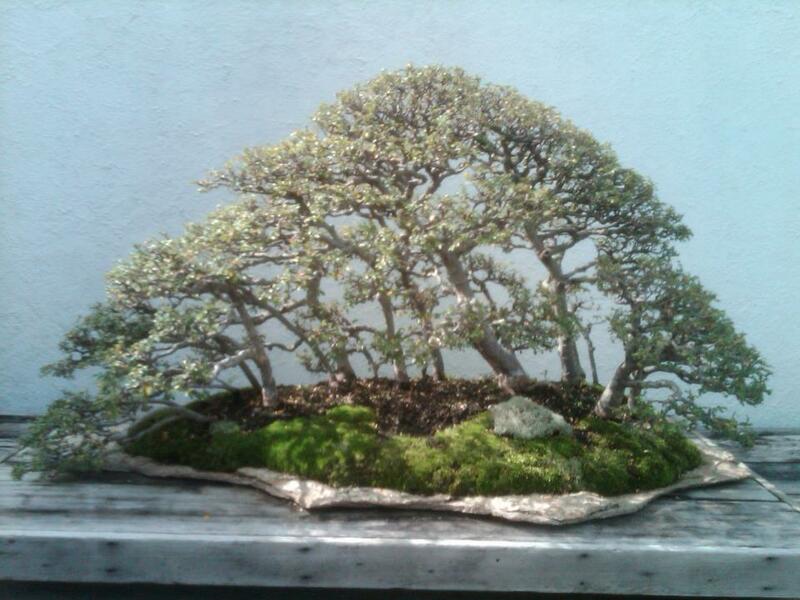 One of the most popular exhibits is the azaleas, with approximately 10,000 specimens planted throughout its hillsides. It was one of the first collections, and is such a sight to behold in early spring when the plants are in bloom that it was the azalea bloom that first prompted the Arboretum to open its doors to the public in 1949. 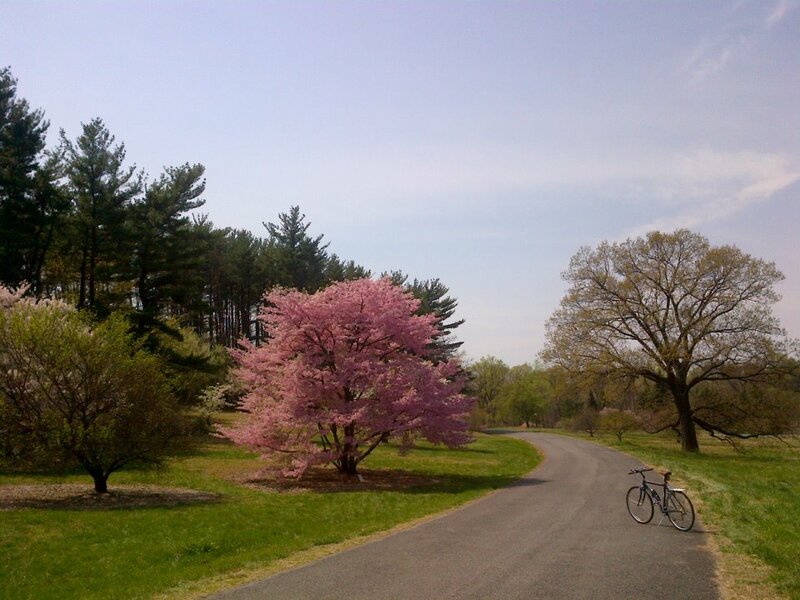 Also during the early spring, the arboretum is an ideal spot to enjoy cherry trees. 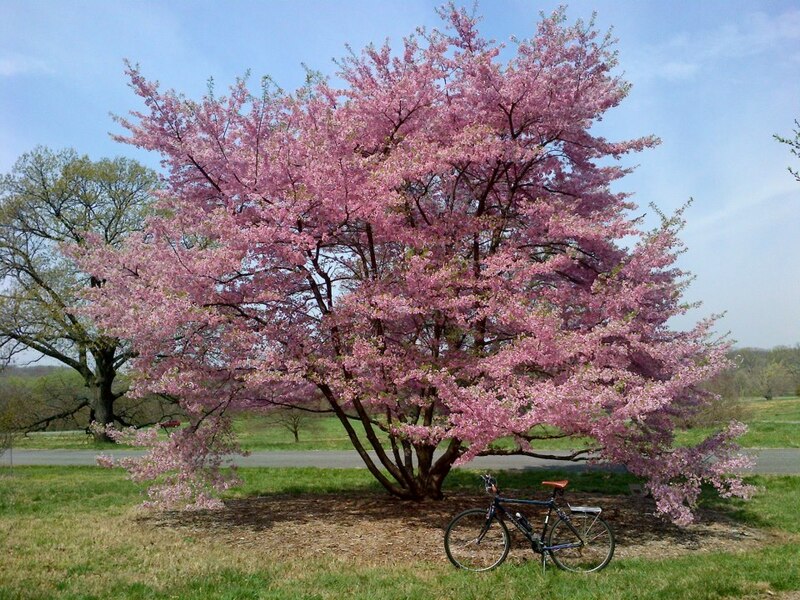 Although the National Mall area may be more widely known for the spring cherry blossoms of its dozen species and cultivars of trees, the arboretum boasts the same 12 varieties as well as 64 more. Visitors also enjoy a variety of other exhibits year round, from formal landscaped gardens to the Gotelli Dwarf, and the slow growing Conifer Collection. 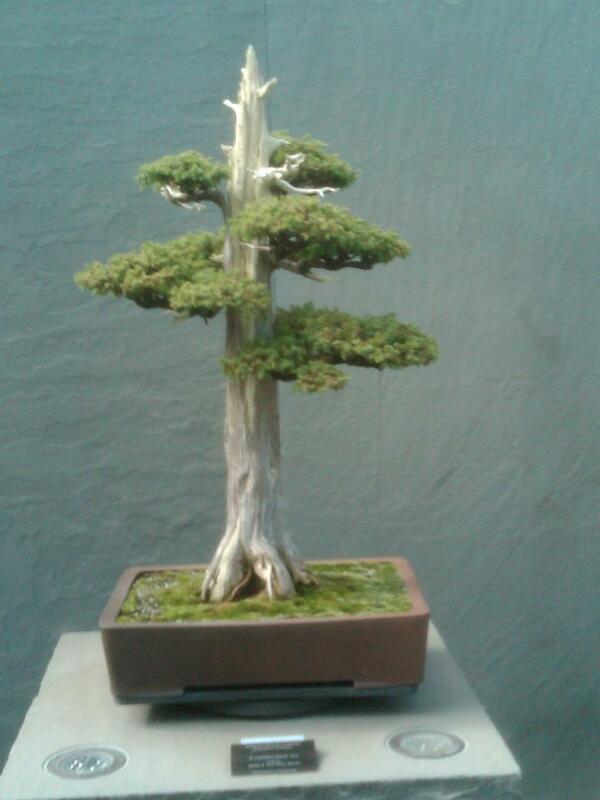 The Arboretum is also well known for its bonsai collection at the National Bonsai and Penjing Museum. 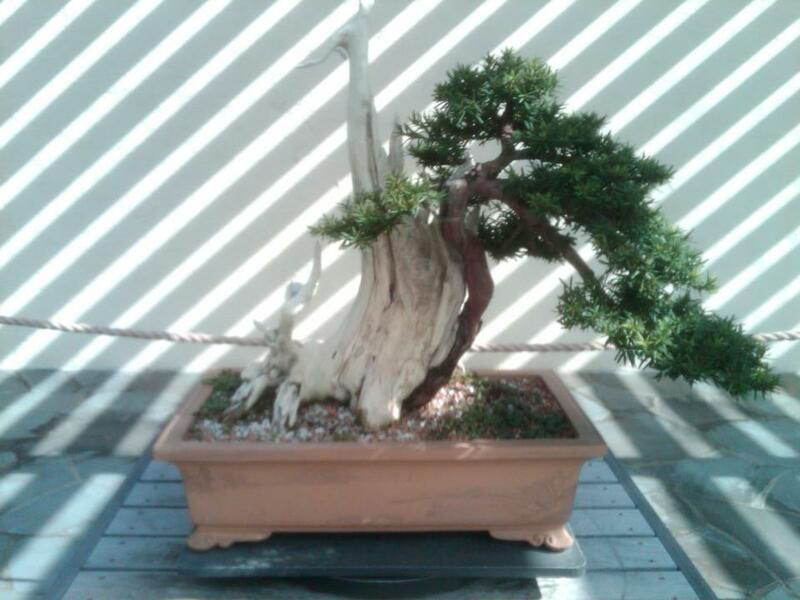 Other special displays include seasonal exhibits, aquatic plants, collections of herbaceous plants and a National Herb garden, the Asian Collections, native plant collections, and the National Grove of State Trees. 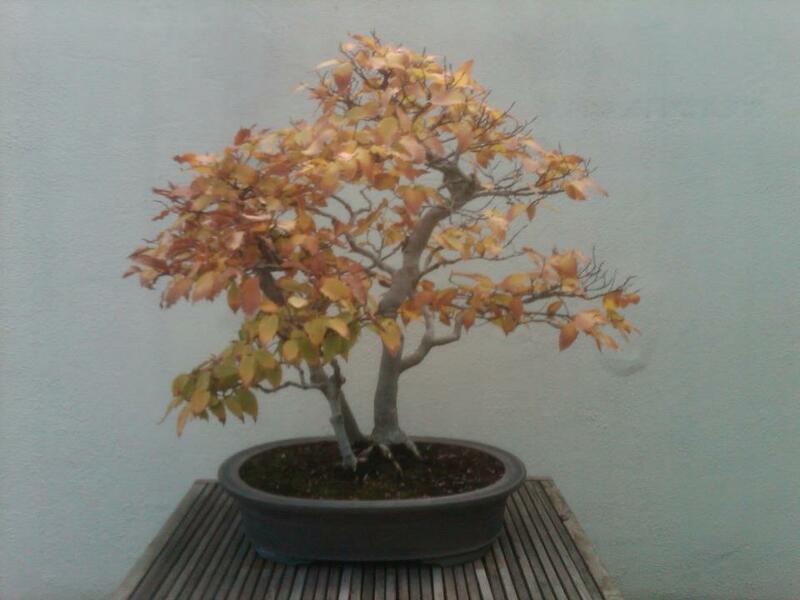 Single-genus groupings include apples, boxwoods, dogwoods, hollies, magnolias and maples. 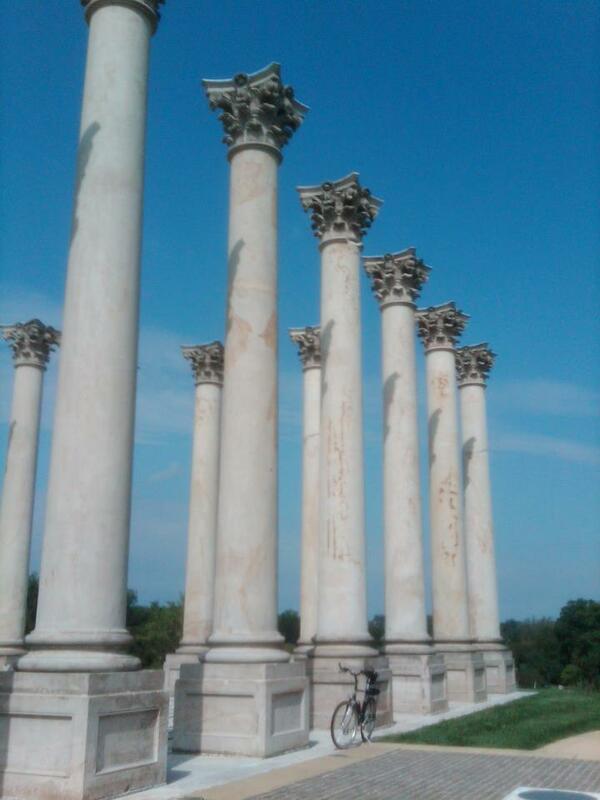 Another of the arboretum’s recent features and one of its most unique is The National Capitol Columns, comprised of 23 Corinthian columns that were part of the U.S. Capitol Building from 1828 until 1958. They are the remnants of the old east portico that were removed when the building was renovated and expanded. 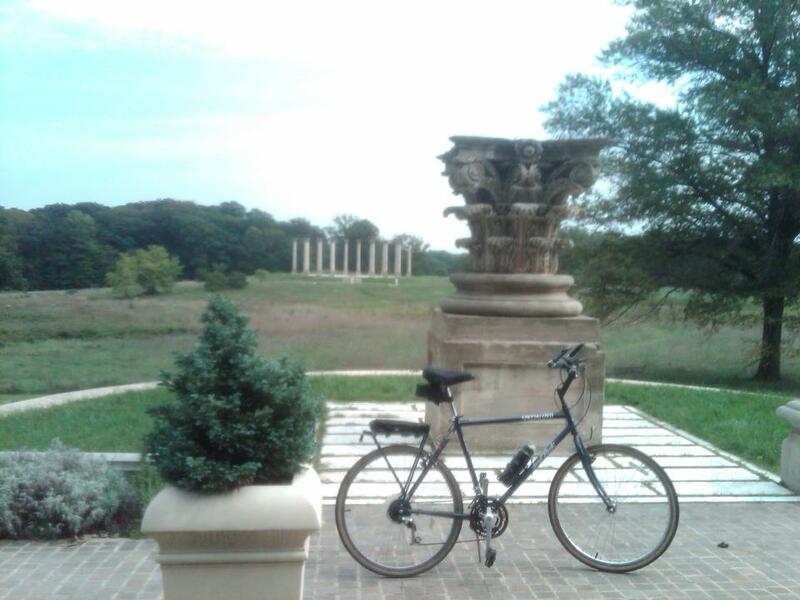 Originally destined for a landfill, the columns were rescued and put on display on a knoll near the Arboretum’s main entrance. 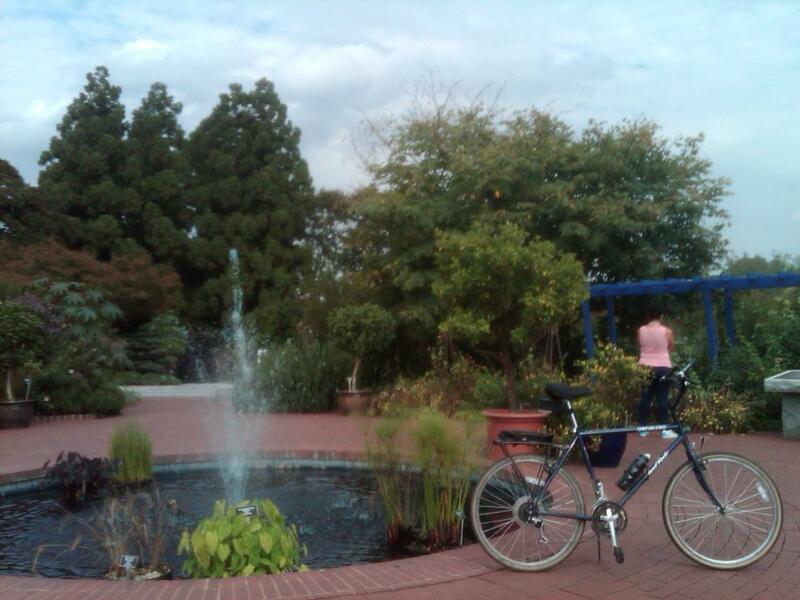 The arboretum is not only a good destination for a ride, but also allows riders to tour the grounds on their bikes. 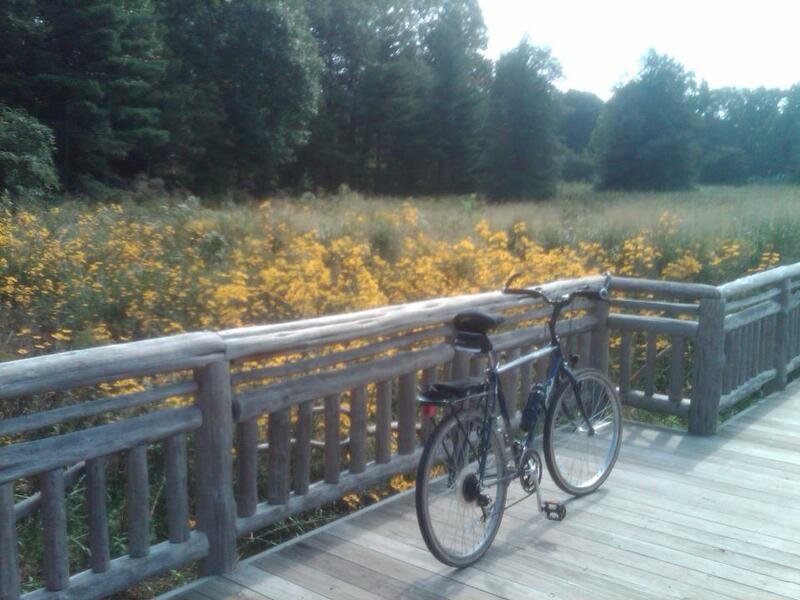 With a campus that includes nine miles of roads with little to no traffic, as well as multiple trails and paths, I’m going to have to go back many times to continue exploring all that it has to offer. 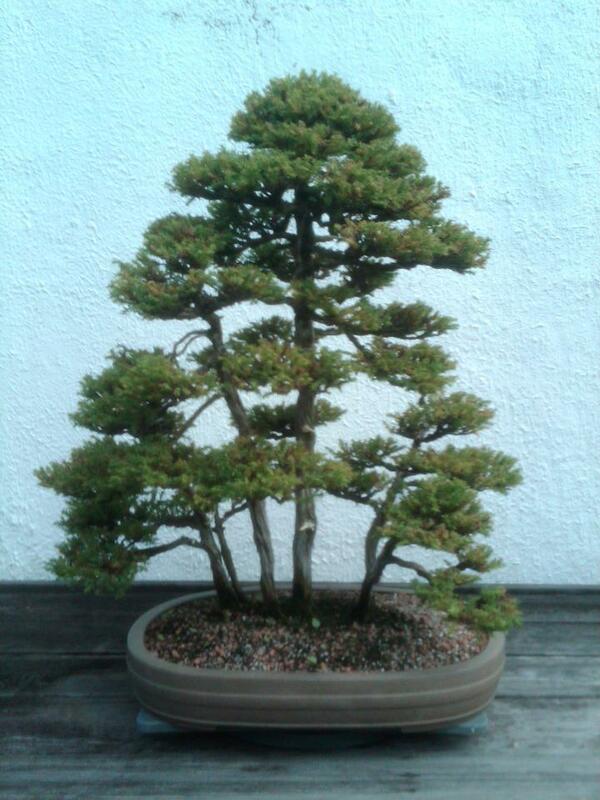 Bonsai is a Japanese art form of miniature trees grown in containers. 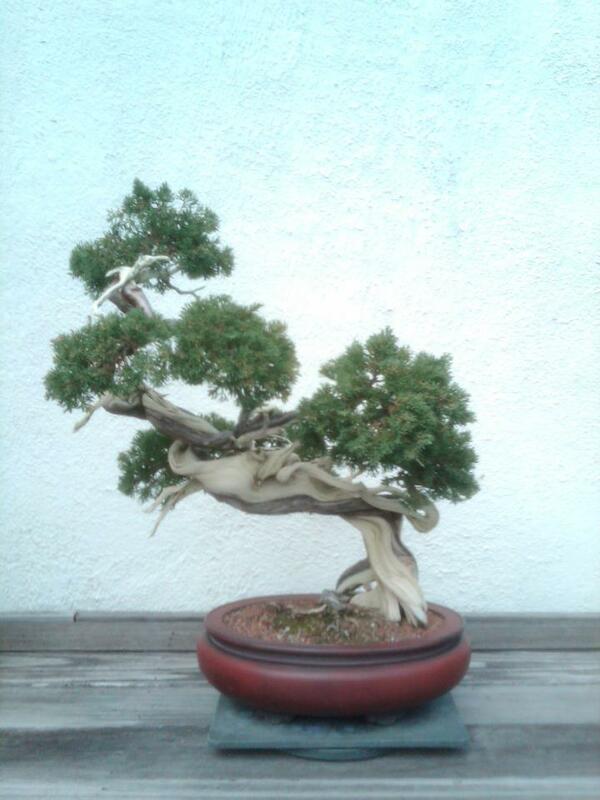 Similar practices exist in other cultures, including the Chinese tradition of penjing from which the art originated. 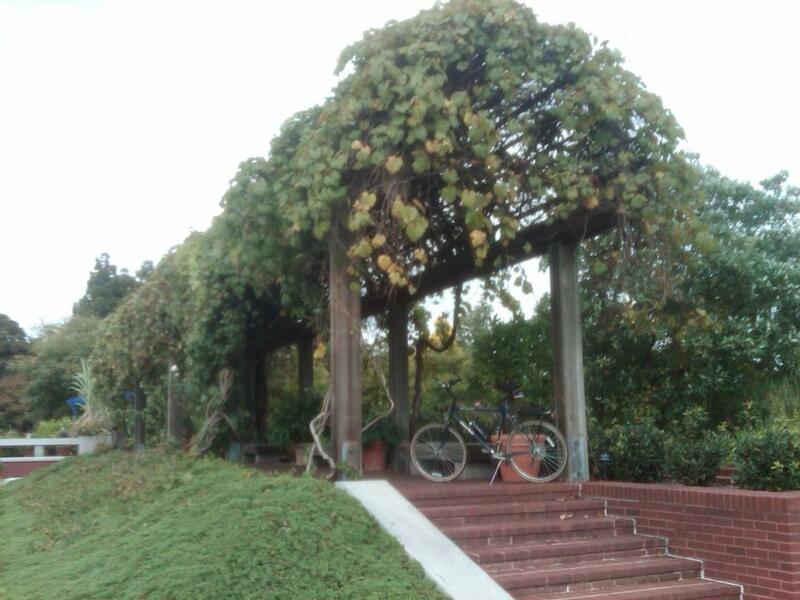 On this bike ride I went to see some of these living artworks represented by the masterpieces at the National Bonsai and Penjing Museum, which is part of the U.S. National Arboretum. 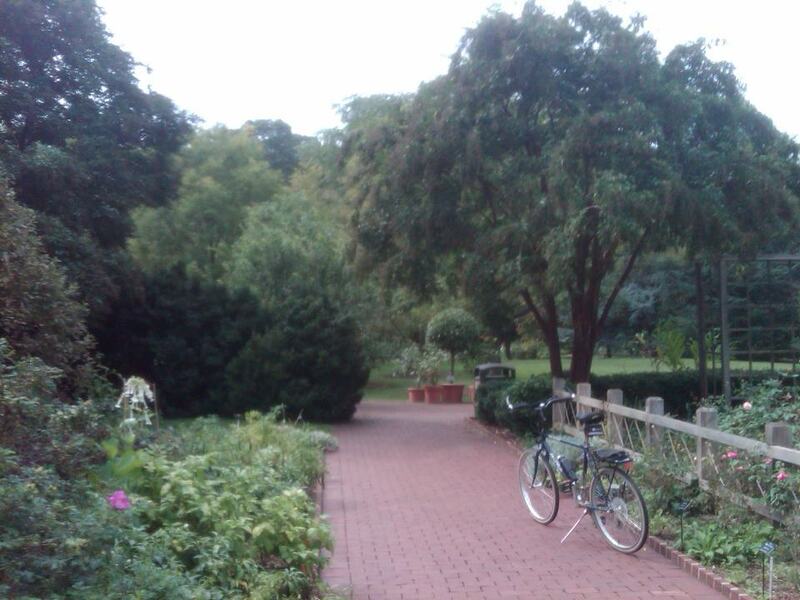 It is located on the grounds of the Arboretum at 3501 New York Avenue (MAP) in northeast D.C. 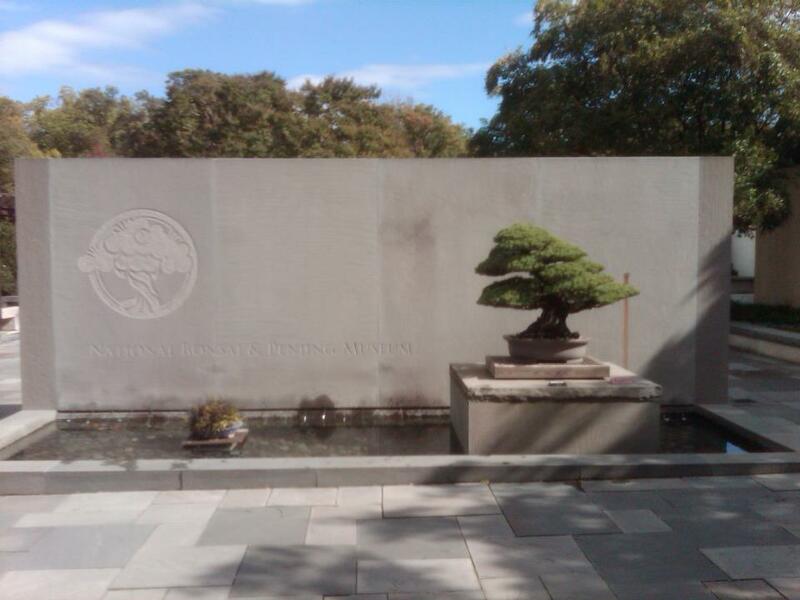 The Museum was established in 1976 when the country of Japan and the Nippon Bonsai Association donated 53 bonsai to the people of the United States to commemorate the U.S. Bicentennial. 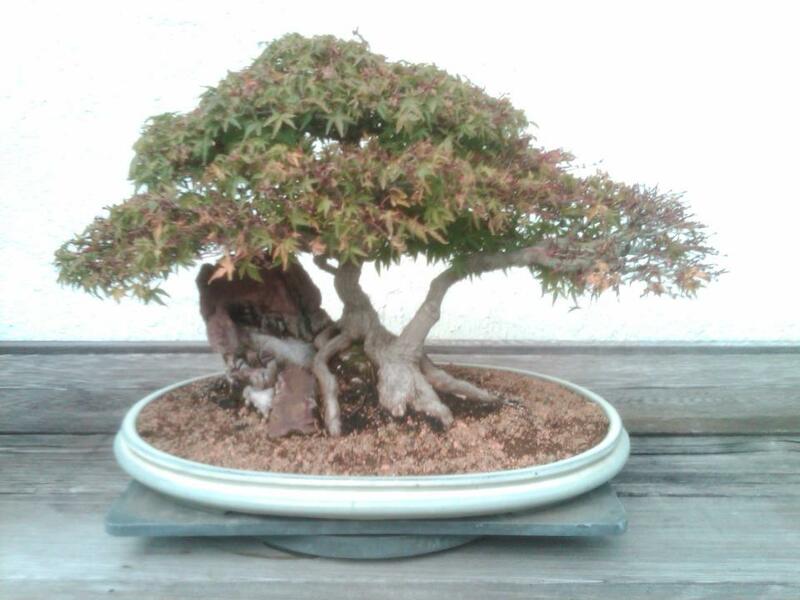 The collection has grown since that time with the addition of pieces from American bonsai masters and penjing from China. Today, the museum houses approximately 150 plants, as well as developing specimens in a separate greenhouse, comprising one of the most comprehensive collections of its kind in North America. 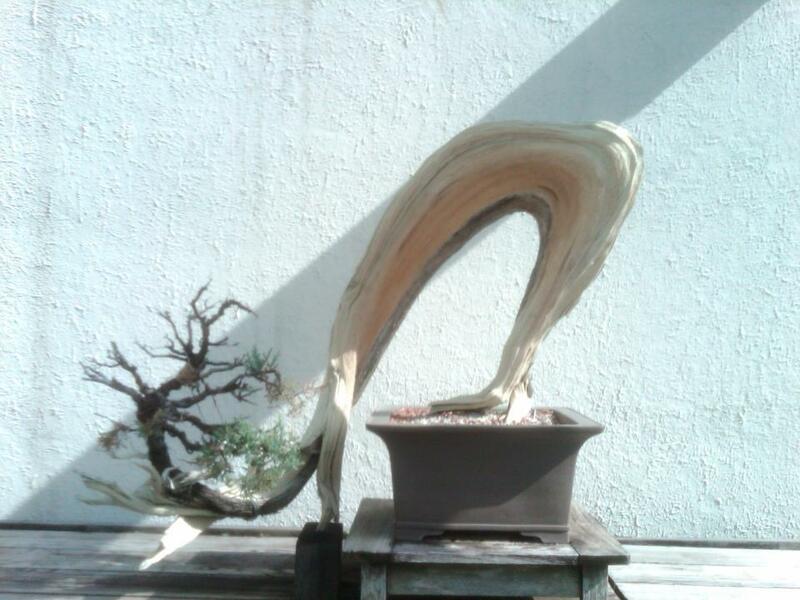 The National Bonsai and Penjing Museum, in cooperation with The National Bonsai Foundation, is dedicated to the display, education and scholarly study of bonsai and related art forms. 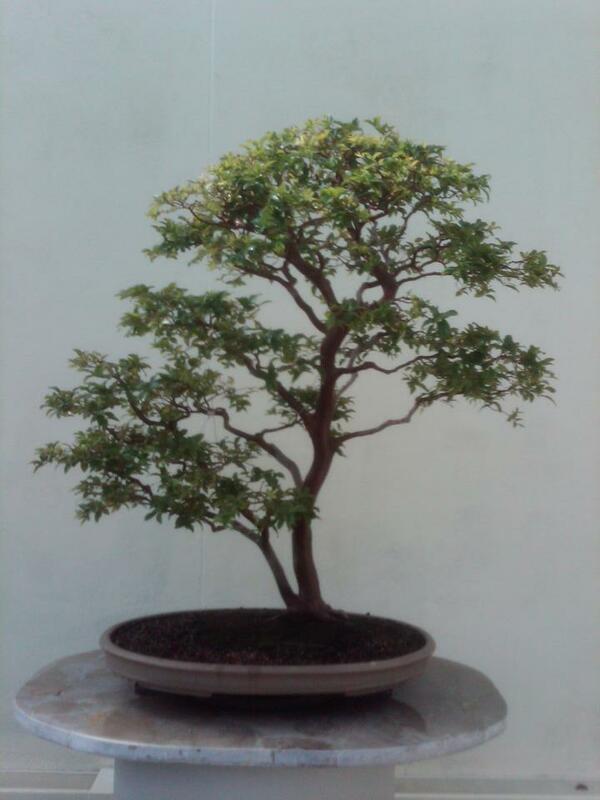 The National Bonsai Foundation is a nonprofit organization established in 1982 organized around the mission of promoting bonsai in North America, particularly by supporting the development of the National Bonsai and Penjing Museum. 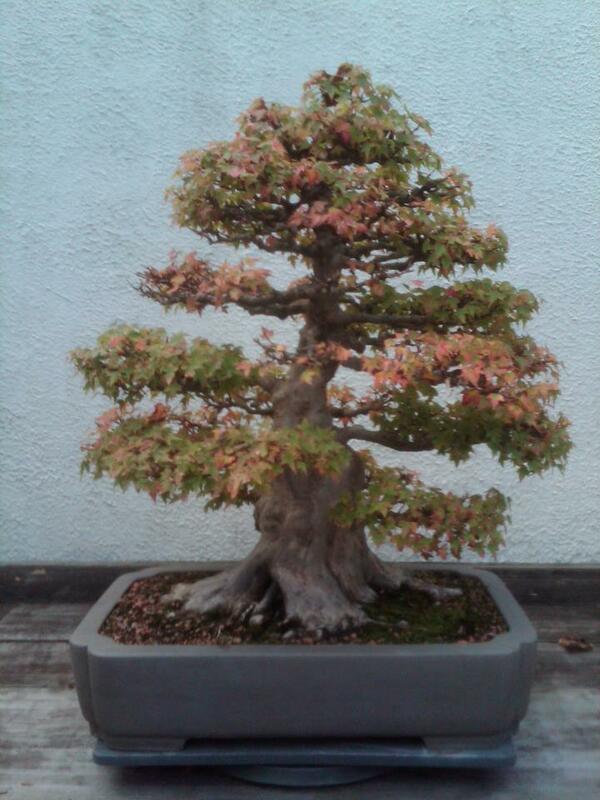 It cooperates with the U. S. National Arboretum by offering financial support and advice to the Museum. 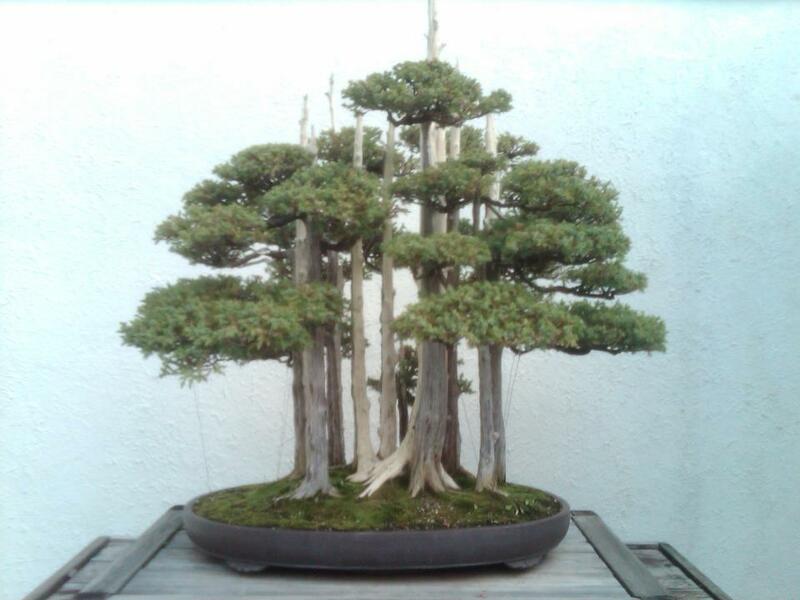 The private/public collaboration between the Foundation and the Arboretum enables the promotion of the art of bonsai and penjing to visitors through masterpiece displays of these timeless trees and educational programs. 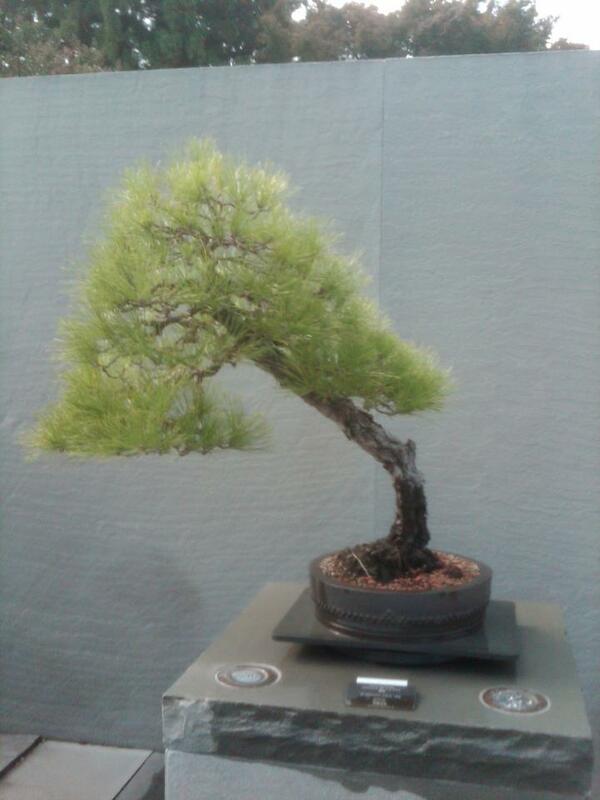 The National Bonsai and Penjing Museum currently has four separate collections of miniature masterpieces, known as the Japanese, the Chinese, and North American collections. A separate world class Viewing Stone collection is also housed and exhibited at the museum. 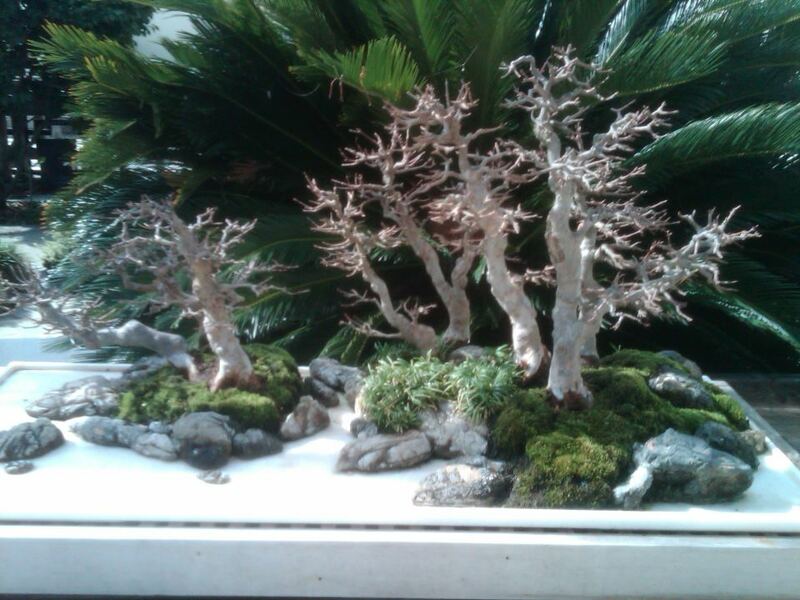 Bonsai and viewing stones are closely related in their great respect for nature, and when the small scale plants and stones are combined, the whole of nature can be imagined via these miniature landscapes. 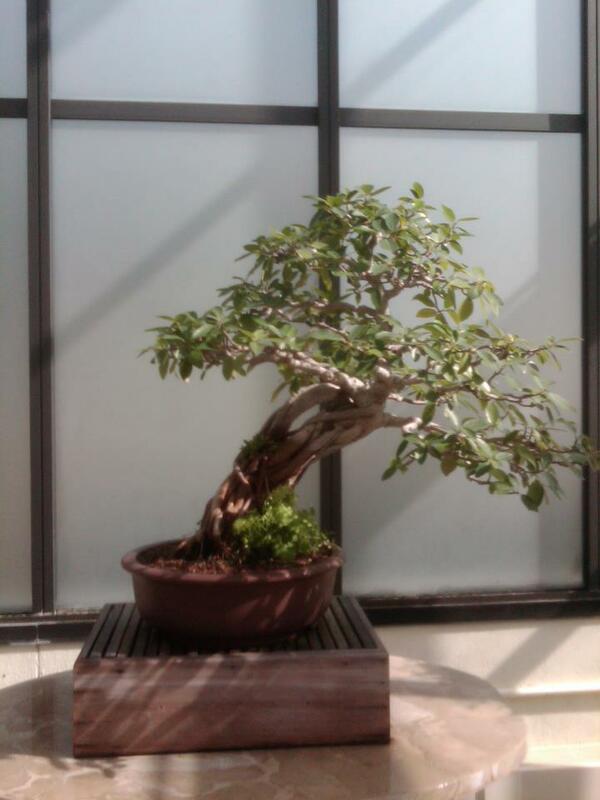 There is so much worth seeing at The National Bonsai and Penjing Museum, as well as throughout the rest of the National Arboretum, that visitors should plan to spend at least a day, or to plan for more than one visit. It’s worth it. 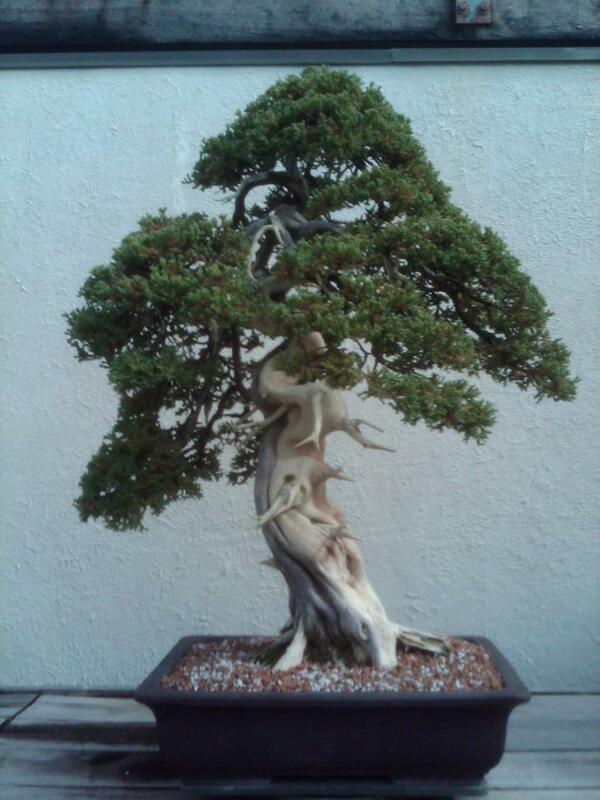 In 1912, the people of Japan sent 3,020 cherry trees to the U.S. as a gift of friendship. Those trees were planted around the Tidal Basin in D.C. Since that time, when people in this country hear the words “cherry blossom,” they often think of the trees made famous by that historic planting. 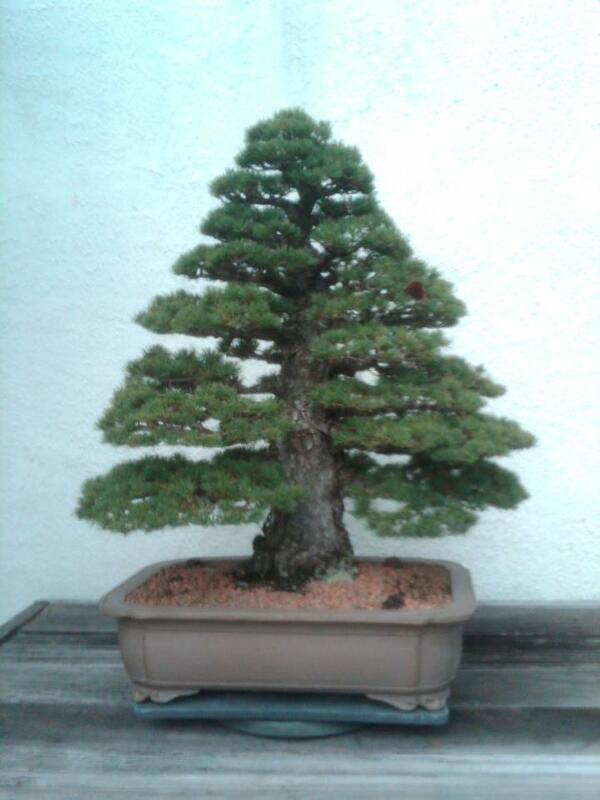 There are now approximately 3,750 trees. In addition to the Tidal Basin, they are located nearby in East Potomac Park and on the grounds of The Washington Monument as well. 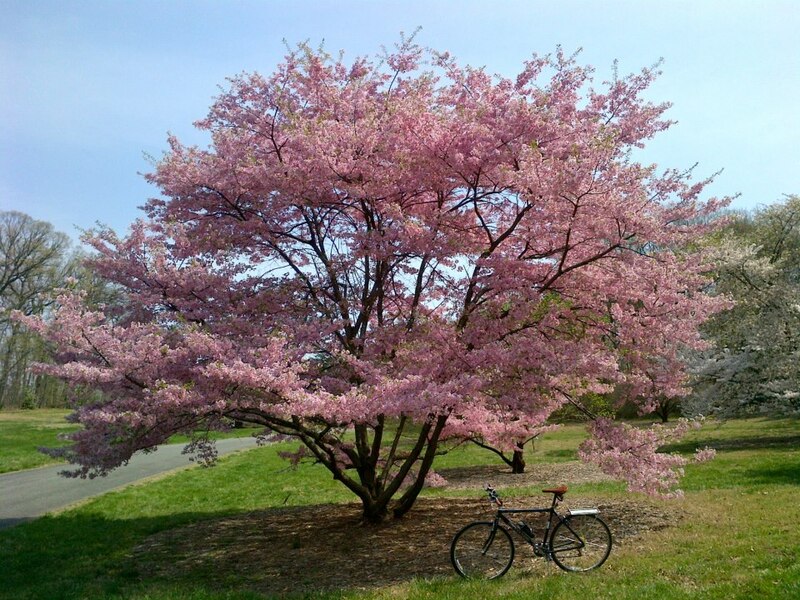 When it comes to cherry trees, the area near the Tidal Basin is definitely the place to go for quantity. 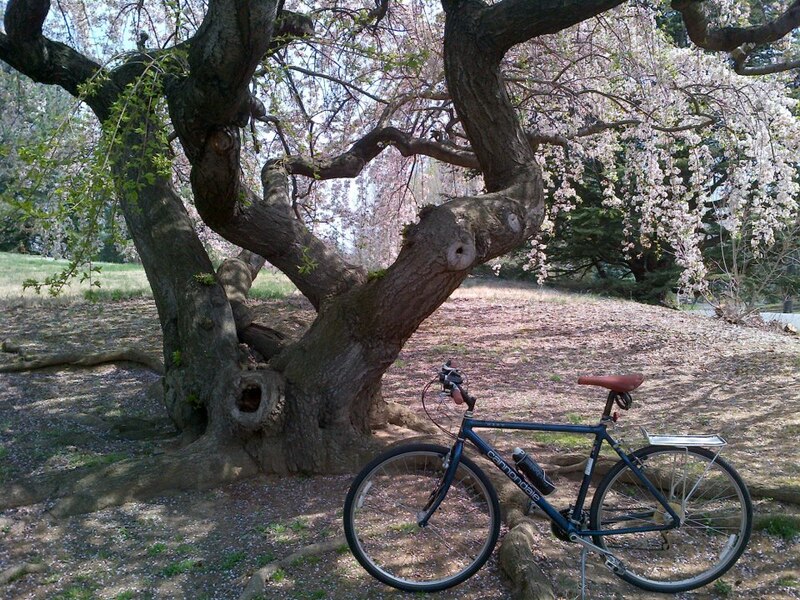 Although most of the cherry trees around the Tidal Basin area are the familiar Yoshino Cherry, there are 11 other species there as well. They are the Kwanzan Cherry, Akebono Cherry, Takesimensis Cherry, Usuzumi Cherry, Weeping Japanese Cherry, Sargent Cherry, Autumn Flowering Cherry, Fugenzo Cherry, Afterglow Cherry, Shirofugen Cherry and Okame Cherry. 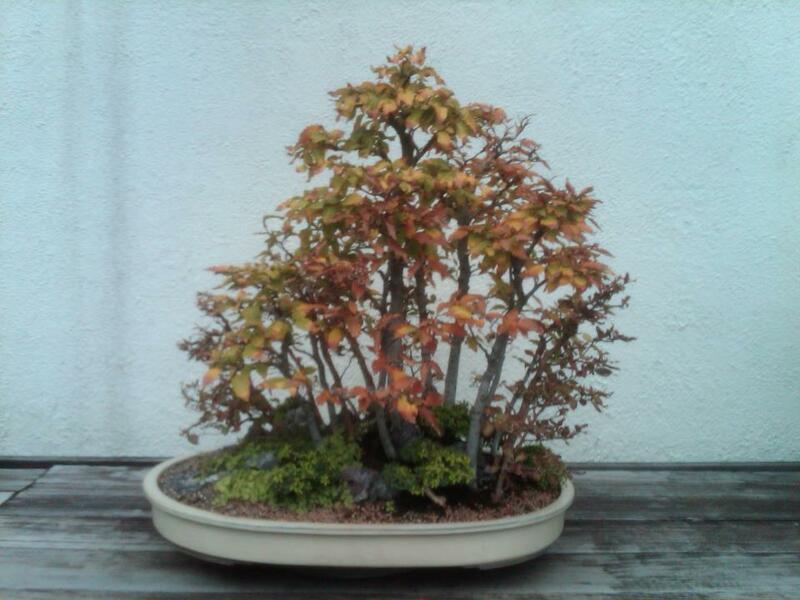 However, there are also numerous other species of these ornamental Prunus that offer a diversity of flower color, bloom time, and shape. 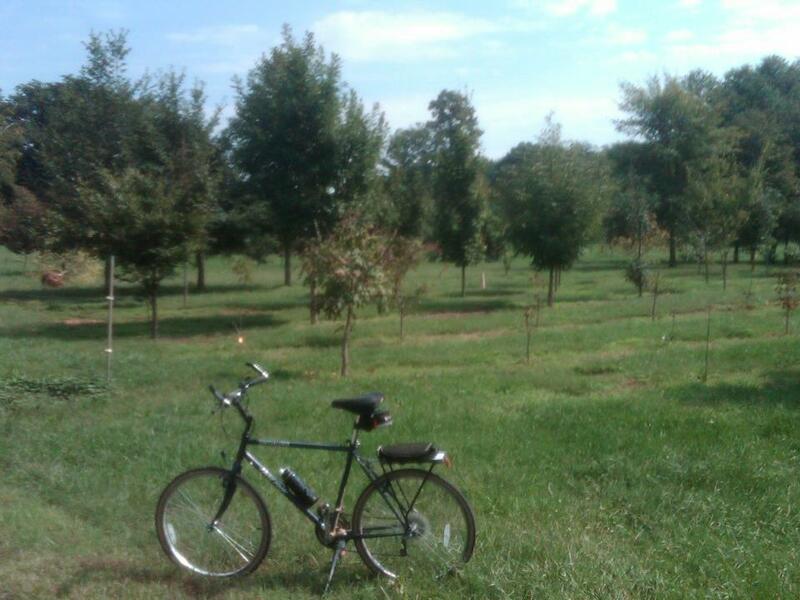 So on a recent bike ride I went to the United States National Arboretum in northeast D.C. to see some of these trees that are not available downtown. 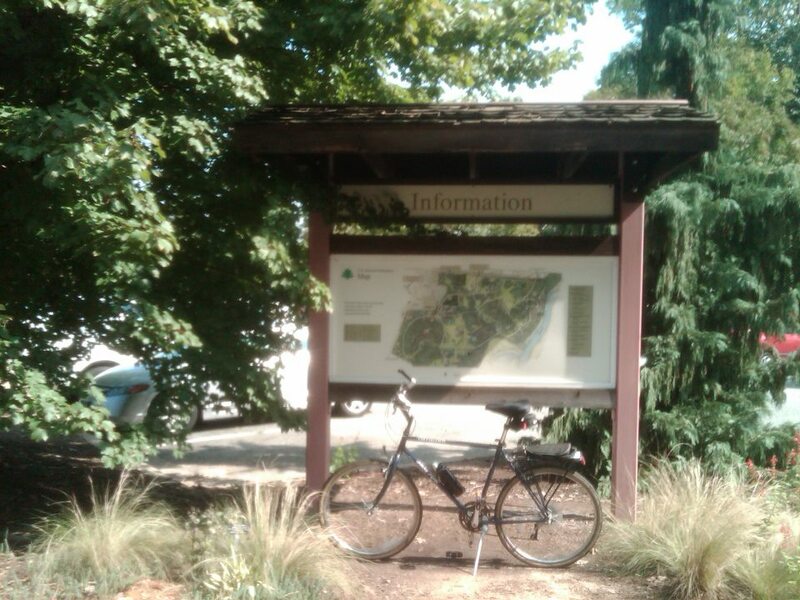 The Arboretum has all 12 of the cherry tree species that are downtown, as well as 64 more. And the cherry trees at the National Arboretum are incredible specimens. 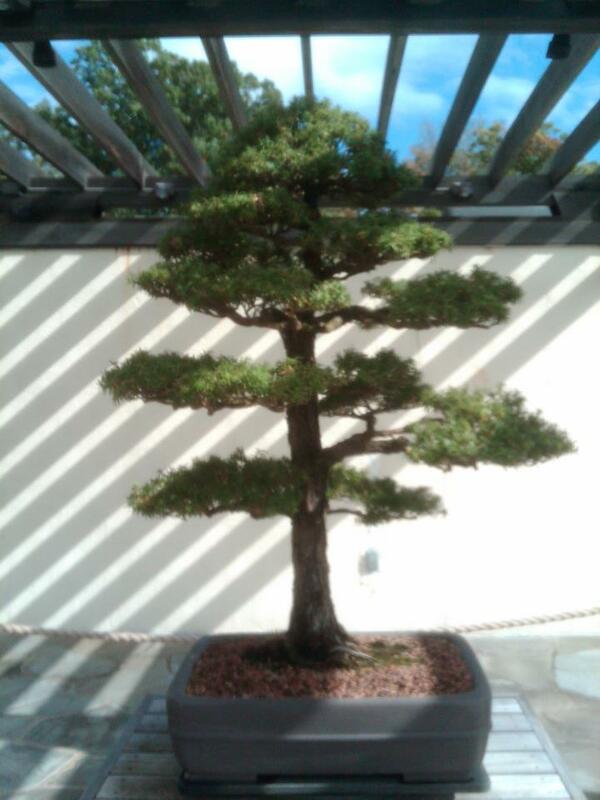 So if you’re looking for quality and variety, I recommend the National Arboretum. The National Arboretum displays 446 acres of different trees, shrubs and plants and is one of the largest arboretums in the country. Visitors enjoy a variety of exhibits from formal landscaped gardens to the Gotelli Dwarf and slow growing Conifer Collection. 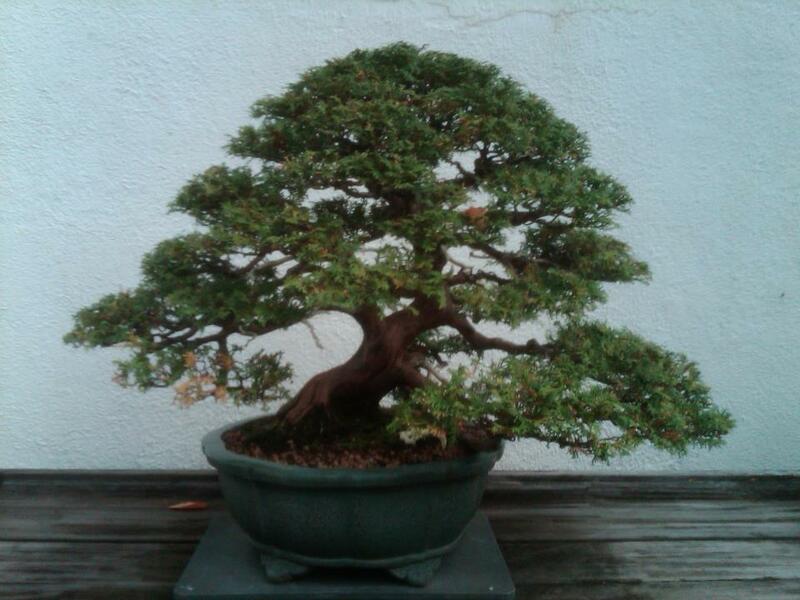 The National Arboretum is most known for its bonsai collection. 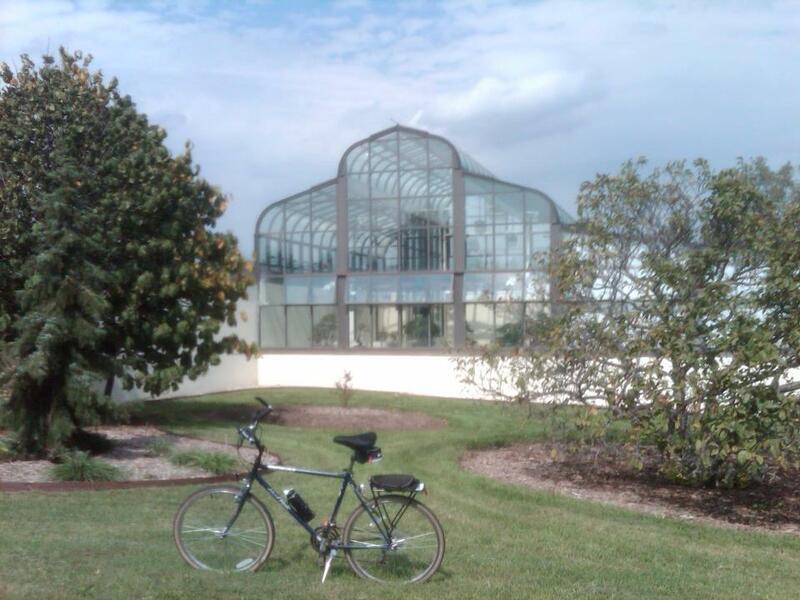 Other special displays include seasonal exhibits, aquatic plants, and a National Herb garden. However, during this time of year, the site is an excellent but relatively little-known spot to see cherry trees. 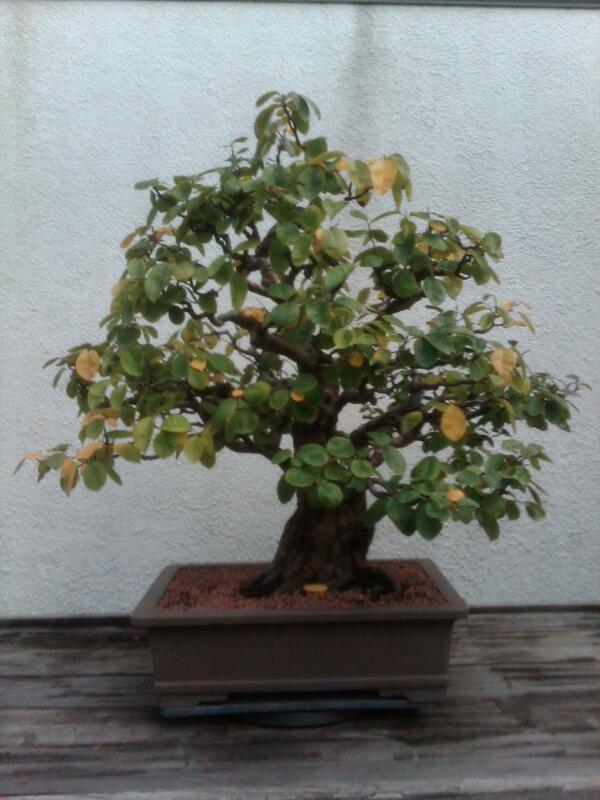 They currently have 76 varieties of cherry trees in the research and display collections there. 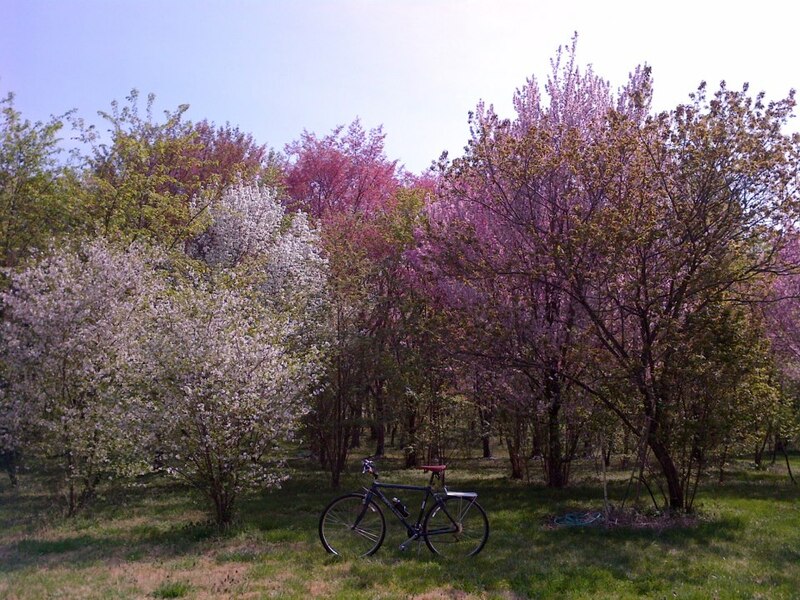 And you can take a self-guided, self-paced tour and explore the acres of flowering cherry trees by bike, by foot, or by car. 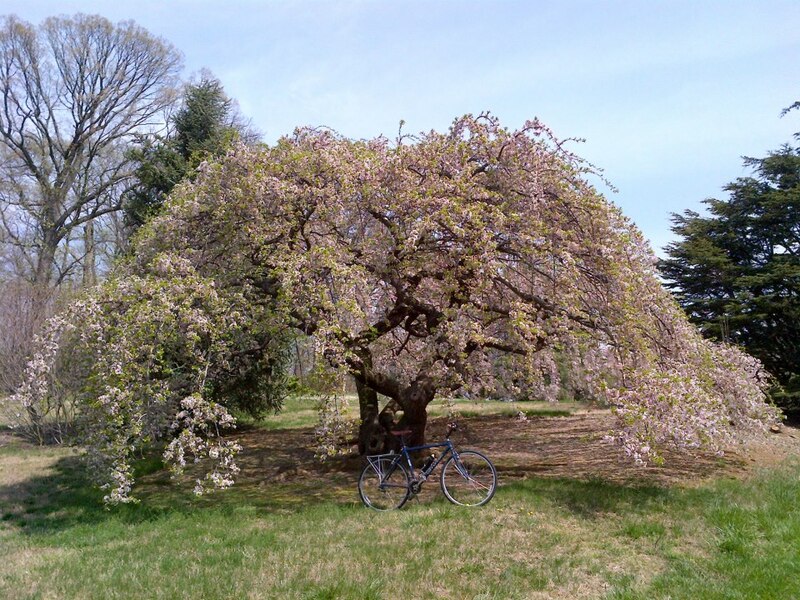 The tour, aptly named the “Beyond the Tidal Basin Tour,” introduces visitors to a wide range of flowering cherries. You can see flowers in peak bloom on only some of the trees though, as different types of cherry trees have different bloom times. Many of the trees are in full bloom, but there are some that have already bloomed this season and lost their petals, while others are only beginning to bud. You should be aware that cherry trees have other ornamental features, such as trunk shape or ornamental bark, so be sure to look at the whole tree so you can appreciate the differing qualities as well as the different blooms. For centuries, the Japanese have valued the ornamental qualities of flowering cherries, equating the transient beauty of the blossoms with the brevity of human life. 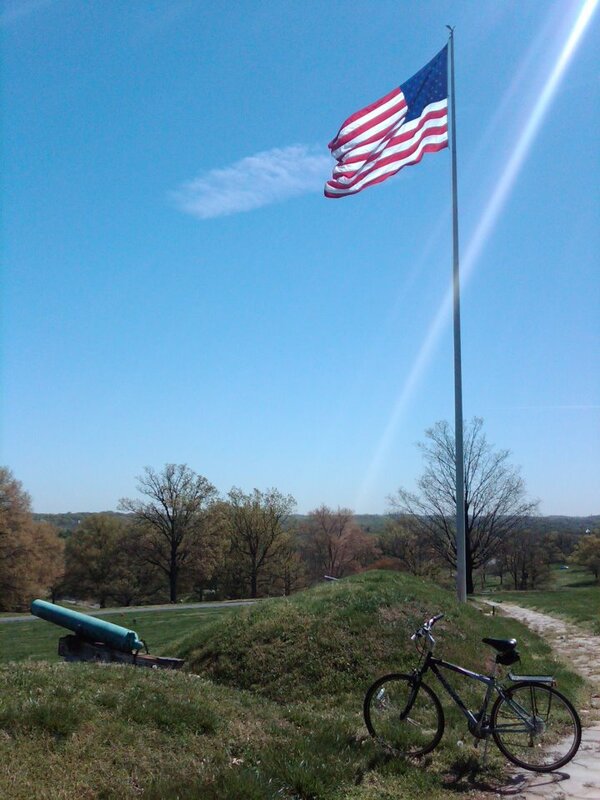 I’d encourage everyone to visit the National Arboretum at some point in their life. And life is short, so don’t put it off for too long. It’s okay if you can’t come in the Spring to see the cherry trees. It’s worth coming at any time of the year.